We’re starting this week off with a little something just for you! 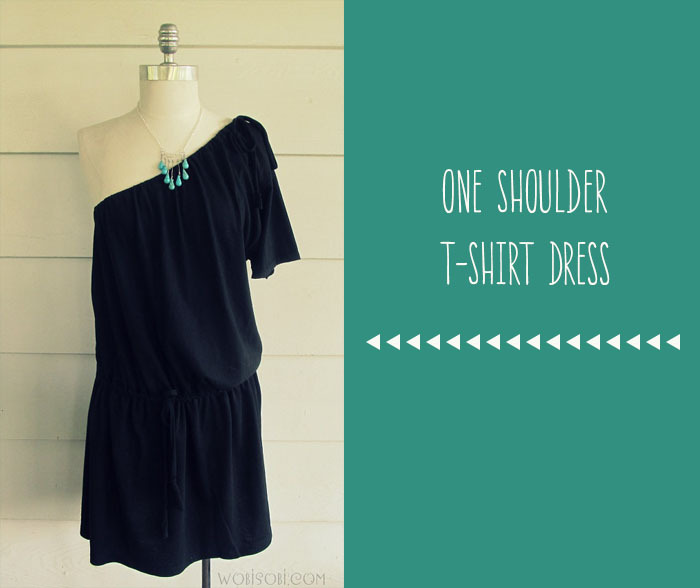 The One-Shoulder T-Shirt Dress by Anne at Wobisobi is easy to make, oh so comfy, and absolutely adorable. Wear it with a pair of tights and a cute bomber jacket this fall, or with heels and jewelry for date night. 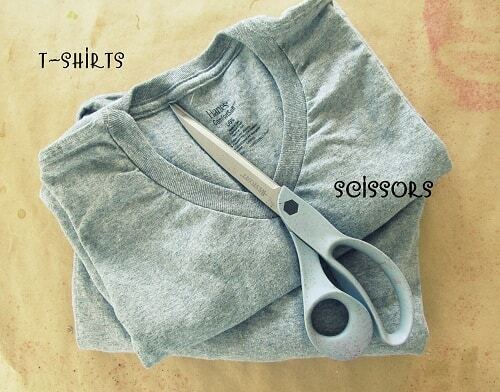 If you have two T-shirts and a sewing machine you pretty much have everything you need. 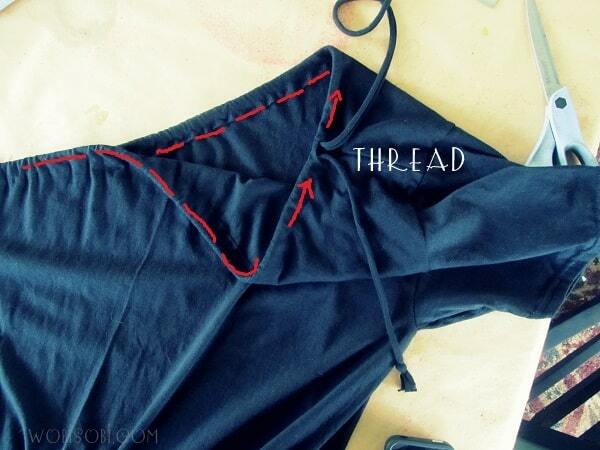 While you’re at it, grab two sweatshirts to make a warm Sweatshirt Dress. 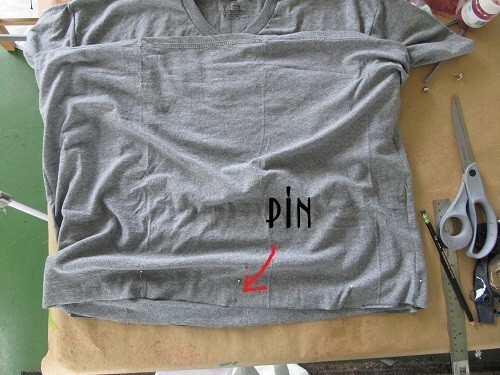 Learn more about this tutorial and Anne’s other T-shirt projects at WobiSobi. Her T-Shirt Summer Dress would make a great follow-up project to this. 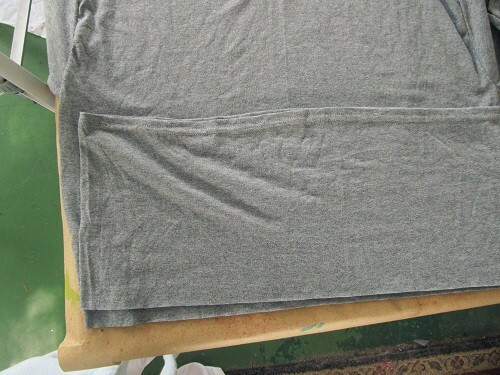 2 T-shirts *I used a Large for the top and an Extra Large for the bottom. 4 studs * Hobby Lobby in the leather section. 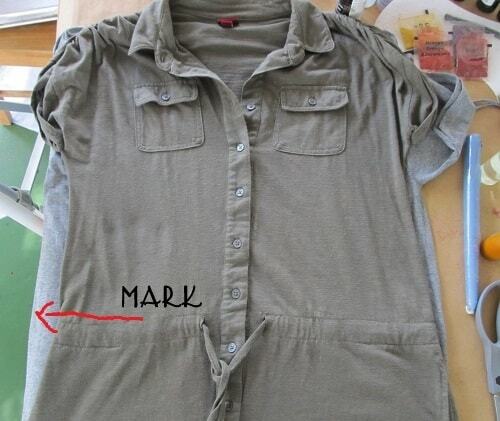 First, I measured my top shirt with a dress I already have, to where I was going to put the tying part. Then I marked it. 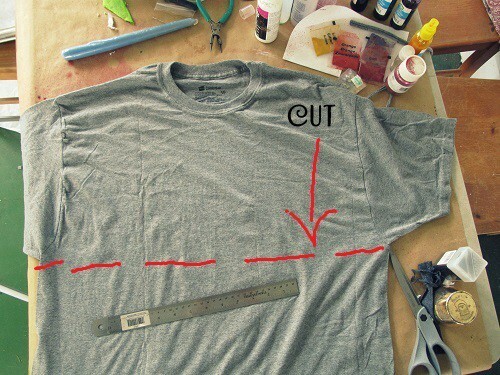 #1 Shirt, I cut the top at my markings. 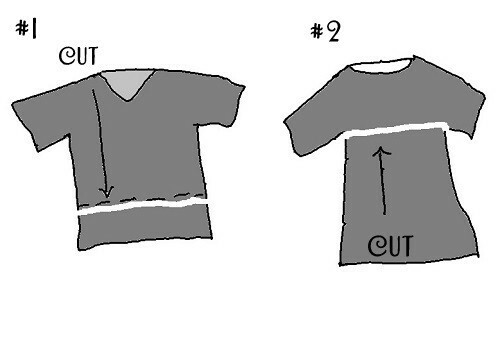 Put the right sides of both shirts together. 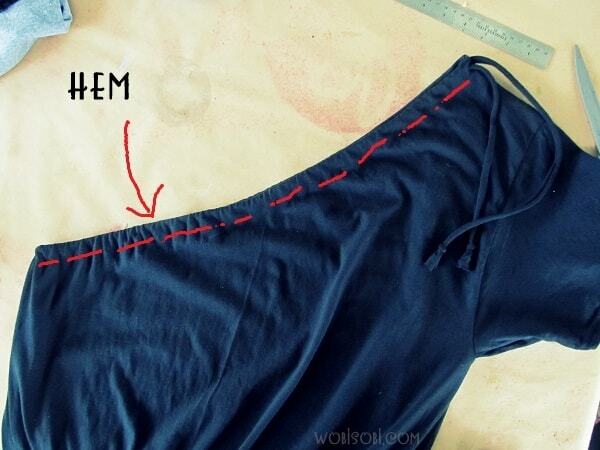 Pin them with your straight pins. Sew about 1 inch above where they meet. 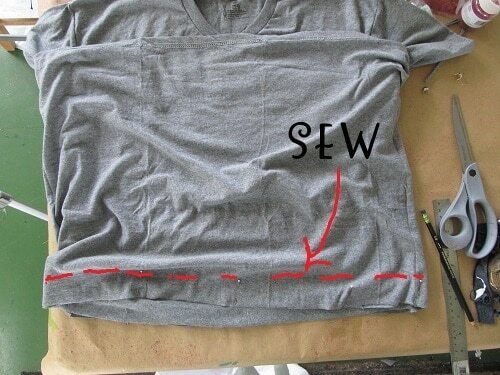 Then turn the bottom part right side out,and sew an inch below where you sewed your first line. This will be the channel where the tie will go through. 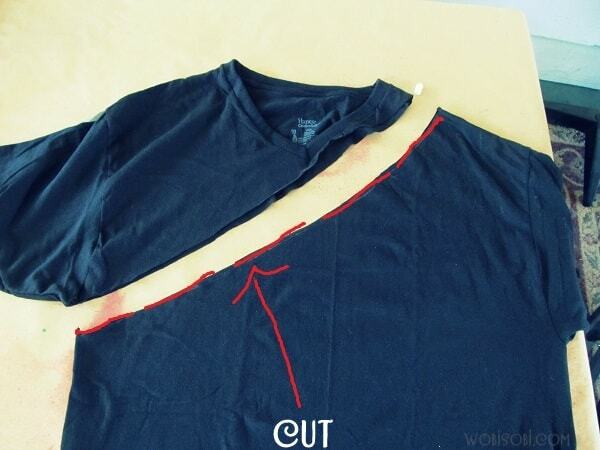 Cut a small slit in the center of your channel. 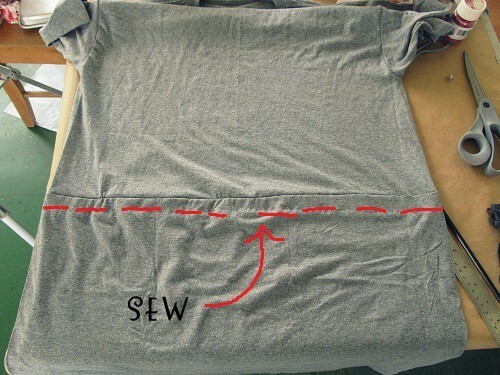 From the scrap part of the shirt that you have left over, cut an inch wide strip. Stretch it out to make a rope. 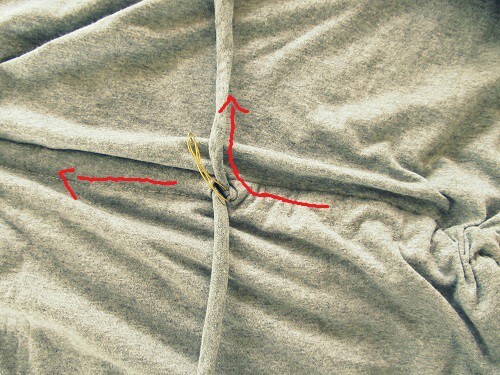 Attach the end of the string to a large safety pin, then weave it through the slit all the way around the shirt. Now for the one shoulder look. Mark a diagonal line from under one arm to the top of the other shoulder. Hem a 1-inch hem around the place where you cut. *You want to leave an inch channel so you can weave a knit string through it. 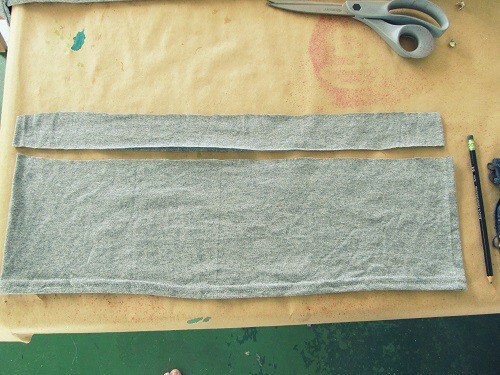 out of your scrap material, cut a one inch strip. 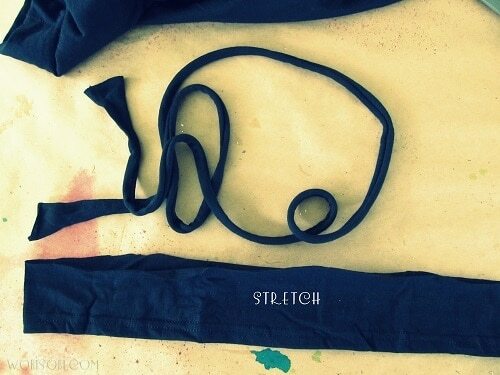 Stretch it to make a knit string. 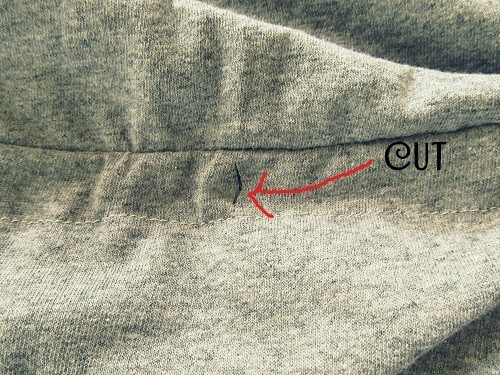 Make a small slit at the top of your shirt, attach your knit string to a large safety pin and thread your knit string through the channel. 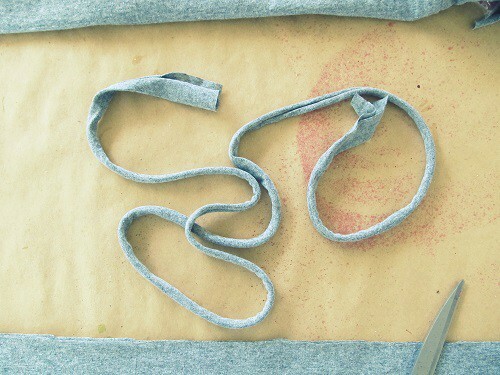 You could Dress it up even more by adding a pretty sheer ribbon or a sequin ribbon instead of a knit string. 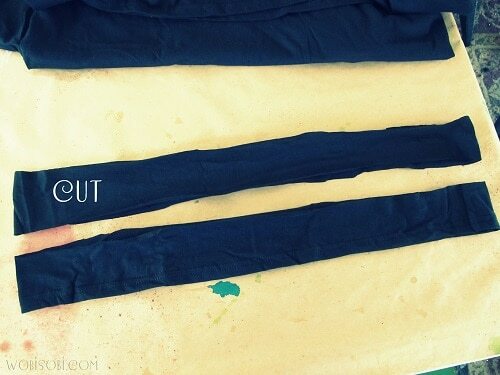 Now you can tie it up as tight or as loose as you want. I can not wait to wear this out with some cute strappy sandals.